Microïds has revealed that Gear.Club Unlimited 2 - a sequel to the racer which sped onto Switch towards the end of last year - is also destined for Nintendo's hybrid console. 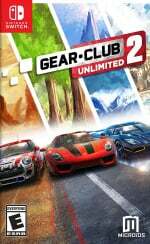 "Gear.Club Unlimited is a highly entertaining racing game that sits firmly at the casual end of the realistic racer spectrum. It can be a thrillingly immediate experience, particularly on the go, where you can blast through one of its sweeping courses in just a minute or so." 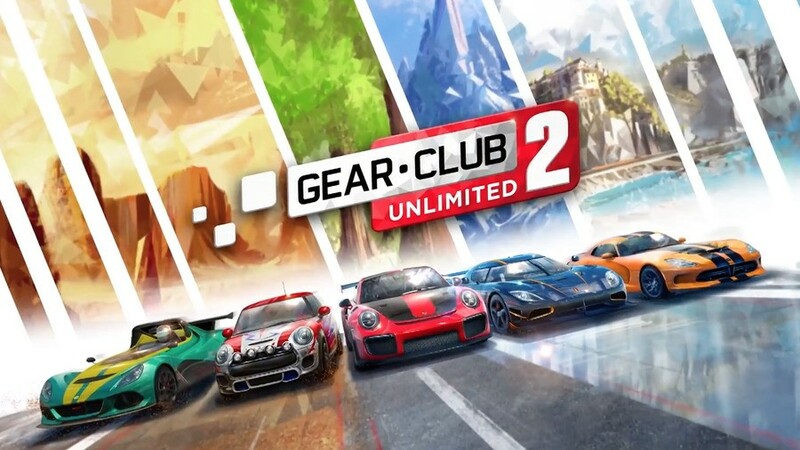 While no specific date has been set just yet, the official word for Gear.Club Unlimited 2's release on Switch is that it will be available both physically and digitally "at the end of the year". Several retailers are suggesting that it may arrive on 4th December, however. Did you enjoy the first entry in this series? Will you be picking up the sequel? Let us know with a comment below. I will grab this, Eden games showing some love is welcome, the first wasn't the best, above avarge game but nothing ground breaking, with enough support, they can refine the series to be a lot better. I'm always down for a new racing game on my Switch. The first one is still on my system, and I'm more than ready for more. Didn't play the first one but I will likely give this one a go. The 1st one was not the super car racing game but it was nice for what it did. Improve graphics, frames per second, loading times, playing modes. Car handling, controlls options, Level progression, User Interface, My Parking features, Online progression. I think the fact this will be designed with the Switch in mind (rather than porting from iOS) should help. Paid a lot for the first and didnt hate it. Played it for a fair bit and did get decent enjoyment out of it, so hope they can tweak the 2nd even further. @Gen0neD The first one seemed to be hampered/held down by being a mobile port, while this one seems to be just for the Switch, so it will also be made with just the Switch in mind, which could bode well for it being a better game than the first one. @ryancraddock "Gear.Club Unlimited 2 will be available on Switch both physically and digitially"
@Djgoa Don't be so hard on yourself, man. I really liked the first one (still have to finish it) but will probably wait for a sale unless they upgrade it significantly. If someone hasn't played the first one I suggest trying the second one. Despite its shortcomings its decently fun. BTW in the YouTube description it says that the first one is the most successful racing game on Switch (I guess not counting MK8Dx). Makes one wonder how much these mobile port doomsayers actually know about the gaming industry. Awesome news. I enjoyed the first for what it was. Wasn't a game changer by any means but offered decent quick races perfect for the switches nature. Hope this one is more fleshed out and the can tweak the handling a bit. Looking forward to more info! Will just consider it if it has longer race sessions. Driving for 50 seconds per race was a joke. @ThanosReXXX "digitially"... It's a newer, cooler version of "digitally". @Djgoa why do you wear turd for? What has your wearing turd got to do with this? Don't wear turd and your outlook might not stink? So now Mobile crap trying to make themselves legitimate with the Switch. Great. This looks like it's trying to stylistically clone The Crew 2 in pretty much every way. While Crew 2 is quite stylish, it's also quite an awful game. Let us hope they chose a better inspiration for the gameplay than the source they used for the art. @Alber-san I wish the Switch had more mobile ports! There are some great iOS games that would be welcome on the Switch at the right price point. Oceanhorn is worth a play, Horizon Chase is on the way. I wish Square would just stick the lines of code in required to port FFI-IX over. I'd buy the lot. @NEStalgia I've seen no boats or planes yet, and no helicopters flying cars in, so I'd say it's still pretty far removed from The Crew 2, luckily. Wow, it actually looks quite good and fun! The Switch doesn't have many racing games, so this will likely be what people are expecting. Let's hope it's improved the prequel in every way! Eh. I'll just stick with MK8D. I’ve always thought the original NL review was one of the most dodgy ones the site has ever done. The original game is probably THE most buggy game I have ever played on a Nintendo console and I’ve played every one apart from the virtual boy. This alone will prevent me buying the sequel as I would never support this developer again. @norwichred Strange, I put close to 30 or so hours into the first and wouldn't call it buggy at all. Some slowdown and frame rate drops here and there yeah, but that's it. Nothing game breaking for me at all. I thought the first one was a pretty good racing game. I will definitely buy this next one. Awesome news. Played the heck out of the first one. Decent racer with decent progression system. Decent online but not live challenges. does need longer races and true online. @ThanosReXXX In the future, all reading and writing will be in the form of ill conceived and undecipherable tweets. Which will lead to people begging for Fahrenheit 451 to play out. The oral history will refer to it as "45th syndrome plague". eh; i won't crucify it before it releases/reviews. i mean if the engine is good (and sounds like with some tweaks it would be) and the game is a real game i don't see the issue. you may have forgotten but the switch is a mobile platform (less powerful than newer ipads and even the newest iphones i'd bet) so yeah.. it is what it is. you probably already have a ps4 so buy GT? If it's 60fps I'm down! Racing is the only genre I absolutely cannot play at a low framerate. Make if from the ground up for the Switch and I could be interested. Glad that it's not a port this time. Sound great, first game was good albeit a port. If they build upon the first and improve it, I am more than happy. Ah, they're migrating over to console game development instead of mobile. That's awesome. @electrolite77 Nah, but it doesn't need to be. It doesn't have anything like that for competition on Switch. @NightBeast And it looks really nice as well. I still have it on my bucket list, so I hope to visit one day. @hatch Yeah... it's a bit like it was with the Wii, only much worse. With the Wii, there was also a lot of "must be crap because reasons" comments, while there truly were many, many gems to be found on the system. Another thing that bothers me in this comments section, is the whining about the price, as if this is also a mobile port, and as such, should cost much less, while it is being made exclusively for the Switch, and will probably be better than the first game. But it even bothers me in articles that DO mention mobile ports. People tend to forget/overlook that the mobile versions are often filled to the brim with in-app purchases, and pay to win structures, whereas the console ports have all had these kinds of things removed, and of course have better controls, so at the very least, they're worth a little bit more money. Feels like the first one was an affordable testing of the waters, now they wanna try something for the Switch from the ground up. At least they’re giving it a shot. If it's at least 100% better than the first one, I'll consider it. While I appreciate that we are getting a sequel, no online NO buy! This game will be competing against VRally 4 and that game plans to support online play. I want a online, realistic racing game for this console. @Moon it is. It has the number “2” at the end instead of the number “1”. That’s a 100% increase! Incidentally I expect great things from Mega Man 11! I haven't played the first one, due to it being a mobile port, but will get the sequel if it reviews well. The first gsme must have had reasonable sales on Switch if the sequel is an exclusive. Good to see that this will be built from the ground-up on the Switch and won't be a mobile port. I'll buy, I really enjoyed the first game. Cool. I didn't play the first but I'm glad it did well enough to warrant a sequel. Games like this are rare on Nintendo consoles. Although between this and Moto GP, maybe that will change. I enjoyed the first one. Forza or Gran Turismo it was not, but it was still enjoyable if you weren't expecting those games. Also the first one WAS NOT a mobile port, it was built from the ground up too. How do I know this? Because the mobile game is free to play. Good news, but where's Ridge Racer? @sword_9mm Well, mobile studios not shown much desire to raise the bar regardless of hardware (or revenue). Not like GameLoft tried very hard on the VITA (They just slap "console quality" on the marketing). I always found it amazing how you see more little PC studios with limited budget break into the console market with real quality. Yet Mobile studios with millions in revenue cant figure it out. Time will tell. But I would not get my hopes up. Mobile just see an ARM architecture they familiar with and no real AAA competition that their game will be compared with. So another game which we were told by the doom and gloomers was a bomba obviously did well enough to gain a sequel. @Gen0neD 100% agree with you. yeah, i can see that side. i'll give them a shot but i'd never buy sight unseen without a review. N doesn't make in-house racing games (no mk doesn't count) so either we'll have to wait for something like this or if codemasters wants to obliterate and downgrade the graphics on one of their franchises. grid could be cool; depending on the fidelity hit. @ThanosReXXX World needs more happy future movies, the post apocalyptic ones must have them outnumbered 8 billion to none. I will get this one. @sword_9mm Yeah, GRID would be cool. I tell you, If F1 2018 was available next week on Switch I would get it. Handling and throttle response was fantastic last year on PC,... I am ok loosing fidelity if they get the driving right on Switch. And neither do I, because I agreed with pretty much everything he said. Where's the third DLC pack we were told was coming for the first game? We only got two! @RyanSilberman Apple could do some sort of 'App Store Classics' pack with everything ranging from Trism to Crashlanders. @ThanosReXXX "now get off my lawn"
@Agramonte Microids isn't a mobile developer by origin. They actually started on PC and home computers, back in the day. They made quite a few games for the Commodore Amiga, and they're also known for the adventure game series Syberia, but they simply became more prolific in the mobile area when that market started to flourish, and seeing as they're a smaller developer, you can't really blame them for going where the money is. @rjejr Ha! That's just you being a wolf in sheep's clothing. @ThanosReXXX I didn't say the planes and boats were even a little good. I just said they saved it from the awful driving. @NEStalgia the planes and boats were BY FAR the worst part of it, trust me! Being an exclusive this should be a much more solid title. The first game was a good effort but there was a lot that could be improved upon. @ThanosReXXX No, no, losing my marbles is what happens when I try to play The Crew 2. @NEStalgia I gotta disagree with you there, I really enjoy playing The Crew 2 and the cars are pretty good once you play around with the tuning. Luckily that game gives you a lot of ways to adjust the controls and settings as well. It's just a lot of fun to cruise around the open world with IMO. @ThanosReXXX That Microids not been around for a bit. it pretty much just a Logo - most of the good people left to Ubisoft. Dracula was really more an iOS game and S3 was pretty much a buggy mess on PC. More like PC left them behind. They just a Unity house at this point. But yeah, financially in made sense. But doubt they make something for Switch they can't easily Just skip back to iOS down the line. Microsoft should put Forza on the Switch and allow cross play. It will probably sell better on the Switch and make them more money. As long as it feels like a proper racing game and not a mobile port then I'm very interested. Lacking real racing games on the Switch. Visually it looks better than the first one. But my dreams have risen ever since I tried Asphalt 9 on my Galaxy S9+. A game so visually and technically stunning, it even caught John's attention on Digital Foundry. And rightfully so. If this can be done on mobile, then surely it could be looking that good on Switch. Minus the 10-bit HDR of course, but I'm sure it looks great even on non HDR displays. One can dream. @justin233 or ridge racer but this is the best we've got, i'm curious to see if this will be more sim or arcade, we don't have enough arcade racers these days so it would be a welcome. @hatch Not to mention the developer has been around for ages (decades). And they have published quite a few gems. Some people are just quick to dismiss a developer because (God forbid) they had the audacity to make a game for mobile at some point. Hopefully better than the first. I enjoyed it but yet to complete as the races were super short with excessive load times often longer than the race. @Agramonte Well, guess we have to wait and see. For now, it's most definitely a Switch-only game. And sure, the company may have gone through some changes, but a core team is still there, and if you went to the wiki page I linked to, you can see that they still have quite a few IP's in their stable. All I'm actually saying, where this game here is concerned, is let us not judge too quickly, just because the first game was a mobile port, since this new game in the series is going to be made with the Switch in mind, so it will probably be more of a console game than the first one was. Good. Now where's our Forza Horizon clone? If there is any improvement from the first, I will absolutely be getting this! I'm happy that there are some third parties are coming back after their initial "testing the waters" phase. I’m sure it’ll do alright. But for those like me who have the choice it probably won’t seem so enticing. I enjoyed the game for a while. I hope they improve the physics and car handling. Throw in some online multiplayer and give us some in-race music this time. And for love of glob, give us the option to turn off ghosts in time trials. They obstruct my view of the track. Oh, Great !!! !, more racing games come to the Switch, especially this Eden Games franchise!! !, oh yay!!! !, which, I liked very much the first one, however it needed to improve in some things; good, to wait more info of this game! or rather, where is the Test Drive Unlimited clone?! Wait, Test Drive Unlimited was developed for Eden Games, right?! Was just thinking about picking up the original game yesterday. Will hold off until the sequel. Have a craving for a decent driving game. And cool to see it's an exclusive. An exclusive racing game not named MK? I didn't get the first one, but will probably buy the 2nd depending on the gameplay. Day one for me. I don’t know, I just felt like the first one was a lot of fun and even charming. Given how the first one was among the best mobile ports we've seen (albeit still quite hampered by the original constraints), a game designed for console specifically is definitely worth keeping an eye on. The graphics look better in this one I'll pick this one up for sure. I'll keep an eye out for this one as I'm still looking for a racing game that would scratch both my Ridge Racer and GT/Forza itch. @ThanosReXXX yeah, wait and see. But look, If now the Switch can help pull publishers out of the void of Mobile gaming. That is a good thing and 100% worth me being wrong. @Agramonte I can agree with that. It's just that the internet is "a bit" too overpopulated by prejudiced people at times, and that annoys me to no end. Nothing personal, though. NO ONLINE MULTIPLAYER = NO BUY! hopefully it does! If it has online multiplayer I'll buy it for sure. That was the only big problem the first one had for me. Because of this announcement I took the plunge and bought the first Gear Club although the price felt a bit high. Played a couple of hours and it's a fun racing game with short races which makes it perfect on the go. Hopefully they can improve the physics a little bit and I would have liked a better overview of the track before the races. And a better soundtrack would also be very welcome and make the price more worthy! It looks interesting but the choice of cars is weak.